They do not need to be stored in the fridge anymore. The probiotic is in a dormant state (freeze-dried) and becomes activated / fully metabolically active when it comes in contact with the saliva. How quickly? Very quickly, by the time it reaches the stomach, it can attach and start colony growth. Safety studies with L. reuteri have been conducted in healthy new-borns, small children, adults and immuno-deficient adults over the past decade. In all these studies, L. reuteri have been proven to be free from side effects, even when given in doses greatly exceeding the levels normally contained in L. reuteri products. Over one billion daily doses of L. reuteri have been consumed all over the world since 1996, without any reported side effects. How long does it take before I notice the effects of taking these probiotics? Normally you should notice the effects within a few days. 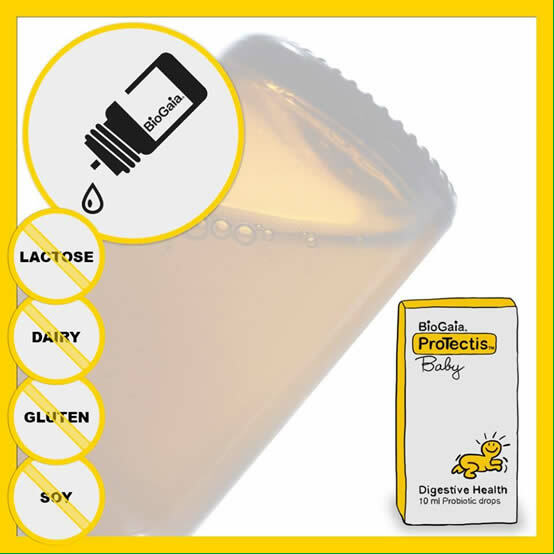 While people who are already perfectly healthy may not experience any difference, those taking Lactobacillus reuteri because of some digestive tract disturbance may notice an effect after 2-4 days. In some cases it may take longer, for example if the person is taking a medication affecting the digestive tract function. These products are considered to be food and are comparable to yoghurt when it comes to safety. BioGaia probiotic products are very useful in combination with for example antibiotics. It helps reduce side-effects of the antibiotic.